Don’t you just love that feeling? There’s something really enjoyable about flinging a 12 pound rock down a slicked-up lane into plastic pins and sending them flying. It’s especially fun when you can knock all ten of those suckers over with one whip of the arm. I don’t go bowling very often, and I’m not very good at it, but it’s one of those activities that is good to do from time to time. 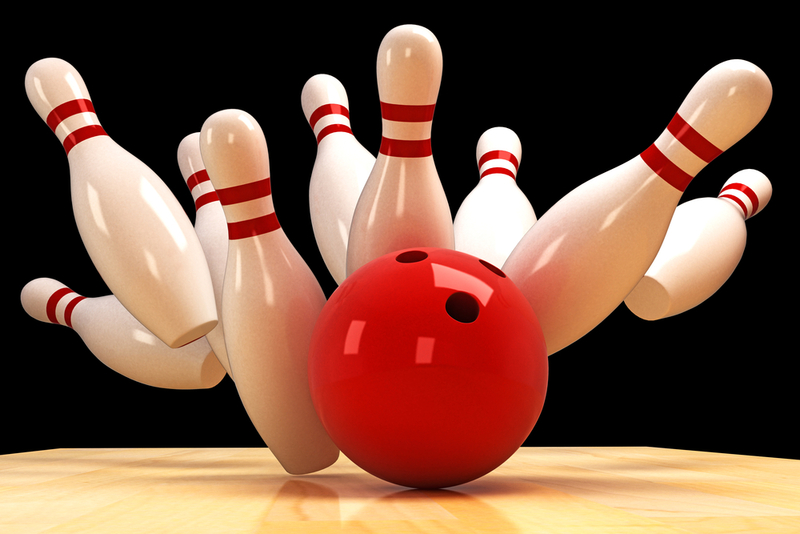 In many ways, I think preaching is a lot like bowling. Every person who preaches the Word of God with any degree of seriousness is aiming for a ten-pin strike: a message that is biblical, practical, engaging, and inspiring. Those sermons where we walk away feeling like we got a “strike” are few and far between, but it’s every preachers aim. Yet, just like at the bowling lanes, there looms the possibility of throwing a clunker – the dreaded gutter ball. Those half-tubed grooves on either side of the lane serve as a reminder that our aim must be pretty darn accurate. Just a little too far to the left or right and our efforts are rendered moot. This is true not just in bowling but in preaching also. I like to think of the gutters in preaching as the dangerous extremes that any given topic presents. When it comes to biblical truth, a word we often use is having balance. By that we mean that emphasizing one side of things over another is a dangerous and damaging practice. God often requires believers to live within two dangerous extremes, which, in turn, means that the preachers job is to steer people away from either gutter and down the balanced middle for a strike. How do we challenge the apathetic, professing believer to examine the authenticity of their faith, without causing true believers to doubt their salvation? How do we encourage our people to share their faith boldly, without having them become like a clanging cymbal? How do we stress the importance of living a holy life, without making it sound like salvation comes from good works? How do we challenge people to make their faith their own, without cutting off the importance of fellowship and Christian community? How do we teach people to fear God, without making them withdraw from him? How do we encourage believers to rigorously study the Bible, without making Pharisees out of them? How do we elevate the beauty and sanctity of marriage, without alienating the people who are single? How do we acknowledge the demonic forces around us, without leading people to always blame Satan for their own sin? How do we confront people with the ugliness of sin, without making those who’ve already sought forgiveness feel condemned? How do we esteem the blessing of children, without discouraging the barren couples? I think you get the idea. Good preaching will always strive to carefully go down the middle of dangerous extremes to the hit the biblical balance. This is one heck of a challenge, keeping in mind the diversity of people within a congregation, each person’s emotional bent, personality differences, and opinions about a given subject. Inevitably, when a sermon gives even a hint of veering in a particular direction, there will be those who happily cheer for more and those who feel that the preacher has gone off course. I would like to say two things, one to those of us who preach, and one to those who listen to preaching. First, to the preacher I would like to encourage you to keep in mind what extremes your particular subject will present, and aim to err away from both. At times you will feel compelled to lean one way over the other, given the circumstances of a situation. That is not necessarily a bad thing – in fact, at times it is likely necessary. In such a case, don’t feel afraid to do so. Just do your best to be clear about avoiding the gutter on that side of the lane. To the listener, I would say this: give your preacher grace. It is no easy task to stand before a group of people and preach a message that speaks directly to every person. Inevitably, preaching will always be immediately relevant to one person more than another, and most pastors do their very best to keep that in mind. Good preachers always strive for balance, which is no easy task when they know that people struggle with opposite extremes. Give them the benefit of a doubt, and don’t read too much into what they might be saying. Pay attention for statements of clarification. And always know that hitting a strike is rare. Most sermons will only knock over a handful of pins, usually the ones slightly off-centre. That’s okay. The next time, the preacher will likely veer ever so slightly the other way in order to clean up with a “spare”. Give grace to those who labour well at preaching and teaching, for it is no easy task!